Ever wondered where all your garbage/refuse/trash goes after it is collected by the rubbish collectors? In this article we will find out the way London disposes of its waste. 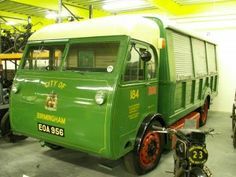 The history of recycling in the U.K. The United Kingdom has been recycling its waste for over 80 years. During the Second World War, it has mobilized households to separate their garbage which was then used for ammunition or other military products. The food waste was gathered and used to feed pigs, as there was lack of food not only for the people but for the animals as well. After the war was over, the recycling process transformed fast, as cardboard and glass waste doubled over the next 10 years due to a new shopping habit which was gaining traction fast. First pioneered in the U.S. in the 30s, it has now made its mark in Britain – the self-service shop. Now, everyone could inspect, touch and read every product by themselves. In order to do that freely, all products had to be packaged. As living standards rose higher, people and councils alike began to negate the importance of waste, as most refuse generated was thrown to the landfill with little of it being recycled. All types of home waste, car bodies, and old bicycles, even the local sewage water was being disposed of at the waste landfills. Waste pits were popping up like mushrooms after rain, there were hundreds of them in rural England. Another change in the waste management in the U.K. was the introduction of plastic bags. As food waste increased due to change in consumer behavior, the smell of rotting trash bins became a real problem. Plastic bags made it even easier to throw rubbish away but made it even harder to recycle it. The recycling structure which was built during the war period was now being taken apart. To deal with that, the government introduced mass burn incinerators which did not even create electricity, simply burned everything and spurred it into the air. On top of that, Planned Obsolescence was introduced, where companies found out they can increase revenue by making products with much shorter ‘lifespan’, choosing how long a product will work and when it will break down. Moreover, the introduction of Revopak rubbish trucks created yet another excuse for the people and the government to ignore the need for recycling. A Revopak truck could smash any type of waste into a size 5 times smaller than the original. 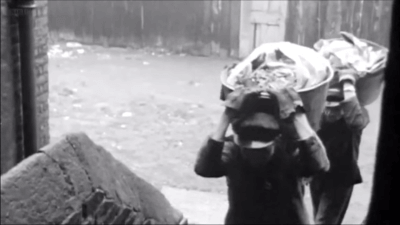 During that period, recycling and making profits seemed like the opposite sides of a coin. Consumerism and shopping mania has become an inseparable part of the U.K. mentality. On top of that, waste management attracted corruption as the government’s financing scheme for the waste management was flawed. During the 80s, waste management was privatized, decreasing its annual cost by 1 million pounds. Moreover, the War on Waste act stated that every citizen felt that there is something wrong with the way we deal with refuse, the scale of generated waste was abnormal. In 1981, a group of statisticians from all over the world, using computer calculations to establish the minima and maxima of how overpopulation and waste generation will impact the world in the first decade of the 21st century said that we are facing imminent global collapse if societies continue to live the way they do. In the UK, after the second majority election of Margaret Thatcher, the control of services and goods transitioned from a collective responsibility into the hands of individuals. 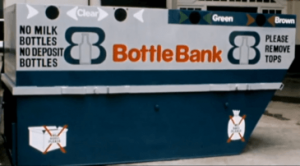 For the first time, with the introduction of BottleBanks, someone found a way to make money from recycling. PaperBanks, PlasticBanks, ClotheBanks and many more were later introduced, supported by both government and the royalty alike. Another savior of the environment was the wheelie bin, which was widely used in Europe but introduced in the UK in the 80s. 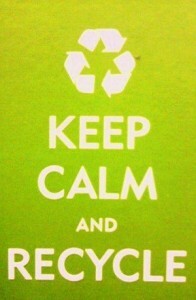 It immediately doubled the recycling rate in the Kingdom. Unfortunately, the Parkinsons law of rubbish, which says that the more bin space households have, the more waste they’d recycled, made it so recycling couldn’t keep up with the waste generation rate. The ever-increasing awareness of society that we negatively impact the environment has been the reason many landfills across the Kingdom to be shut down even before they were completely filled. Materials which could be recycled now seem more precious than before. We still generate waste like never before, hoping that the waste industry will take care of all the garbage, yet recycling is slowly coming back to the rates it was at during the mid 20th century. RubbishPlease takes care of waste in an environmentally friendly way, visit our service pages to find out all about the services we provide or explore our blog where we’ve put a lot of useful information about the way you can generate and take care of waste responsibly. Posted in Live green, Recycle. Bookmark the permalink.